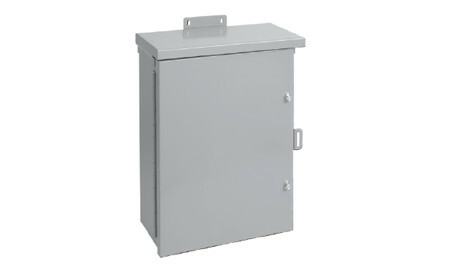 These enclosures have a size range of 16 x 12 x 6-in. to 48 x 36 x 16- in. and meet basic functionality requirements for applications that require protection from rain, sleet, snow or dripping water. Download the Hinge-Cover, Medium, Type 3R Enclosures spec sheet below or call 714.835.6211 for more information.